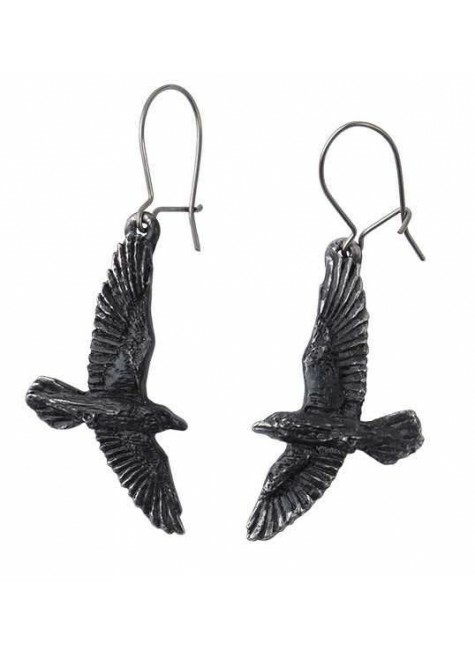 These black ravens will be your constant companions dangling delicately from their perch in your ear. Dark and sultry feathered companions make sure your admirers do not underestimate your character. Black pewter finely detailed ravens in flight dangle from surgical steel French wires. 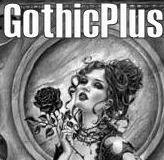 Impeccably made by Alchemy Gothic 1977 in the UK. Item Number: AG-E333 | Approximate Size (Inches): 0.35 wide x 0.15 deep x 1.00 high | Approximate Shipping Weight: 0.25 lbs.